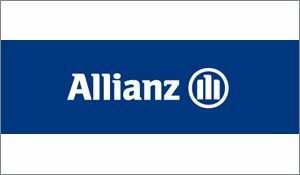 MINNEAPOLIS – Jan. 15, 2019 – Allianz Life Insurance Company of North America (Allianz Life®) announced today that it has given $380,000 in grants to 21 Twin Cities nonprofits that enhance seniors’ quality of life through community programming and outreach. The organizations receiving grants help seniors remain self-sufficient, offer community connections, and provide education about elder financial abuse prevention. This is the highest annual amount the company has granted since starting the Allianz Life Senior Services Grant Program in 2009. To date, the company has given nearly $2.5 million to nonprofits serving seniors. The grant recipients support seniors by building social vitality and independence using services including: food delivery, transportation, and adaptive living assistance. These organizations also provide basic living needs, social activities and community interaction. Additionally, chosen nonprofits help victims of elder financial abuse through education and assistance for them and their caregivers. Amherst H. Wilder Foundation ($20,000) – supporting their adult day program. Canvas Health ($15,000) – supporting their service coordination and transportation for seniors program. Catholic Charities of St. Paul and Minneapolis ($15,000) – supporting their Aging Services program. CommonBond Communities ($15,000) – supporting their senior health and wellness program. Friends of the Hennepin County Library ($15,000) – supporting their deposit collections and at-home services programs. Help At Your Door ($25,000) – supporting their food shopping and delivery services for low-income seniors. Intercongregation Communities Association (ICA) ($15,000) – supporting their Services for Our Senior Neighbors program. Jewish Family and Children’s Service of Minneapolis ($20,000) – supporting their Senior Transportation Program. Kairos Alive! ($10,000) – supporting their Community Creativity and Health Exchange program. Keystone Community Services ($35,000) – supporting their seniors program. Little Brothers Friends of the Elderly ($35,000) – supporting their seniors program. Minneapolis Institute of Arts ($15,000) – supporting their seniors’ museum programs, including the Discover Your Story program. Minnesota Elder Justice Center ($15,000) – supporting their Prevention of Elder Financial Abuse program. Sabathani Community Center ($15,000) – supporting the Sabathani Senior Center. Sabes Jewish Community Center ($20,000) – supporting their senior dining program. Senior Community Services ($35,000) – supporting their Reimagine Aging program. Theater Latte Da ($15,000) – supporting their seniors and family program. TRUST, Inc. ($15,000) – supporting their Continuum of Care for the Elderly program. Tubman ($15,000) – supporting their Legal Advocacy for Older Victims of Crime program. For more information about Allianz Life’s giving programs and ongoing commitment to supporting the Twin Cities community, visit our Allianz Life Community Outreach page.